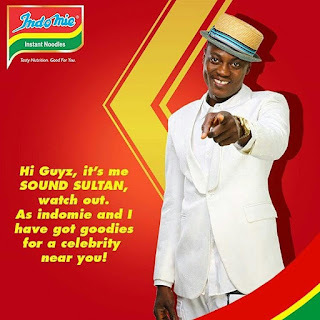 Home News Indomie signs Sound Sultan! It all started as a game posted by Indomie, its drew so many comments on social media especially on Facebook, Twitter and Instagram, with fans only seeing a game for win, not until Tuesday, 11th October, when Sound Sultan finally unveiled the point. Our own Naija Nija is officially an Indomie Ambassador.